I remember as a kid sitting with my cousin who drew a big crazy doodle on her paper and began coloring in every section a different color. To this day it is still one of my favorite things to color with my kids. 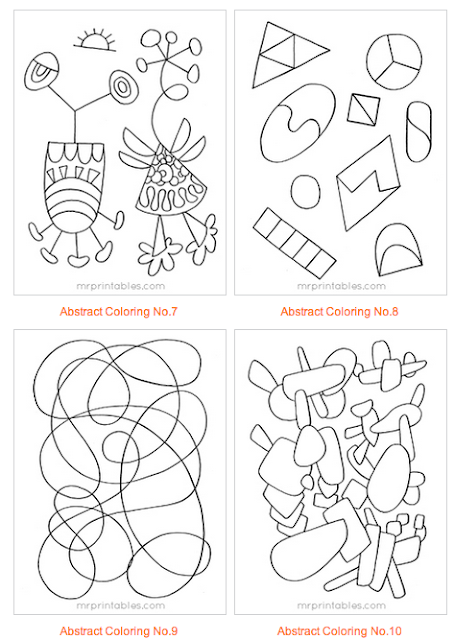 It looks exactly like coloring page number 9 from this fun collection of Abstract coloring pages from Mr. Printable. I will definitely be printing out a set for my girls, but will probably print an extra for me too! You can download all 12 abstract printable coloring pages over at Mr. Printable.